Maximum comfort by Geox for your child, even throughout the school day. 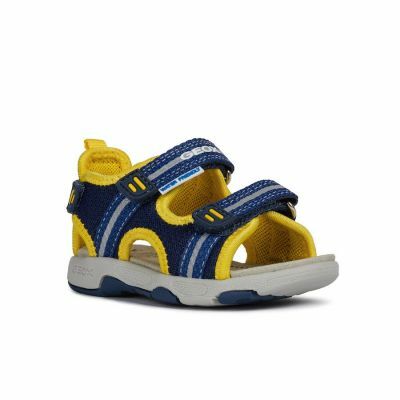 The Savage kids' shoes ensure lasting comfort thanks to their iconic perforated and breathable sole that keeps feet dry at all times. 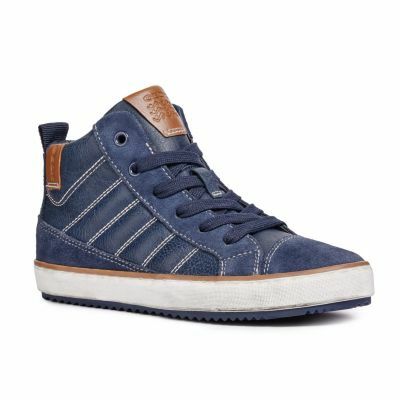 Perfect for school, with a geobuck and black leather upper, they have a non-marking, rubber tread that doesn't leave marks on the floor. The open-cell, anti-static and flexible insole is breathable for maximum comfort in the feet and removable for greater hygiene and practicality, as well as being covered in chrome-free leather, which makes it non-toxic and safe. The double velcro fastening makes the shoe completely adjustable and easy to put on.